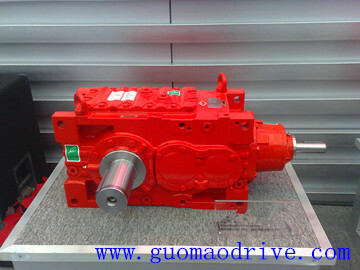 Bevel industrial gearbox GMC series is adopted from SEW series technical. With difference from cylindrical gears. this gearbox has a long life feature. The dimension of this speed reducer is same as the SEW'. 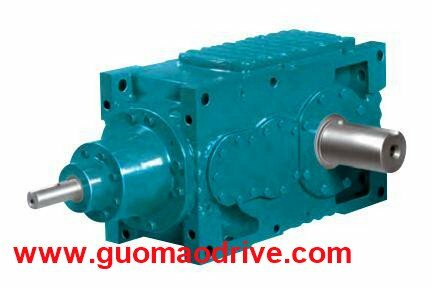 Most of Guomao gear reducers are replaceable to SEW and Flender brand. Especially for bevel and helical reducer, cylindrical gears which are used widely in industrial business. 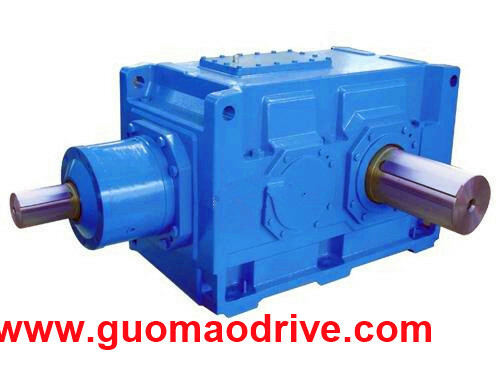 Also we have other industrial gear units such as dcy cylindrical gear reducer which is similar to GMC reducer. DCY gear unit is cylindrical but GMC is helical bevel type. Our products have been in conformity with ISO9001:2008 standards, ISO14001:2004 standard and OHSAS18001:1999 standard. and gearbox accessories could be also offered to you. GMC series industrial gear units are particularly compact helical and helical-bevel gear units. The 7 sizes available in the GMC series cover the 6 to 65 kNm (4,000 to 48,000 ft-lb) torque range. Their parallel shaft design offers plenty of flexibility in system design and requires remarkably little space. Application range for GMC gear units: e.g. in materials handling, transporting heavy loads, mixing, crane drives and shredders. A version, based on this series, with extended bearing distance and reinforced output shaft, is also available.